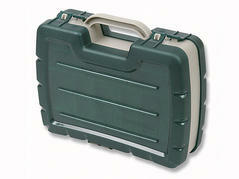 Practical tackle box with 23-33 variable compartments. Supplied with 10 dividers. 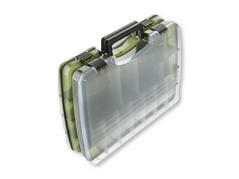 Twister resistant tackle box, which can be divided in two separate parts. Each with one handle. 10 adjustable compartments, which can be divided into 44 compartments. The perfect big sized lure box. 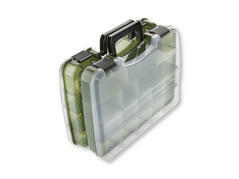 Twister resistant tackle box, which can be divided in two separate parts. Each with one handle. 10 adjustable compartments, which can be divided into 34 compartments. The perfect medium sized lure box.